For some of the world's biggest videogame franchises, the buck stops at Karl-Magnus Troedsson. We recently caught up with the group general manager of several of Electronic Arts' key studios to learn more about Battlefield, Mirror's Edge and Star Wars: Battlefront. Q: Where did you start and how did you start, and how did you come to be the CEO of DICE? Karl-Magnus Troedsson: I’ve been playing games all my life, ever since I was a kid more or less. I started out with the Commodores and Amigas, and having my parents ask me, ‘Why are you only playing games on those machines, that’s going to lead to absolutely nothing!’ That’s a direct quote I remind them of every Christmas. I didn’t really consider making a career out of games, but I was always interested in computer graphics, and after a couple of small jobs I decided that’s what I wanted to get into at school. Since I always played games when we had the opportunity at that school, we started making games – side-scrolling shooters, that sort of thing. That would’ve been ’97. They got some free labour. I worked as an artist and a level designer. I quite quickly realised I was out of my depth because I wasn’t that good an artist, but I also realised I had a knack for getting stuff done, and I was fortunate enough to have the manager of the studio see that as well. So I got to become a product manager. My first game was Airfix Dogfighter, which was based on the Airfix models. So we built an indoor third-person dogfighter game, which I’m very proud of. We had a lot of fun when we did that. We were a team of maybe five people. I started at DICE in 2001, and since then have been assuming more and more responsibility. I worked as senior producer on the Bad Company series. Then I became the executive producer on Battlefield 3, then general manager DICE. Today, my new title inside of the EA world is group general manager. Not just DICE Stockholm, but I have Visceral, DICE Los Angeles, [and more]. Q: Last year you set up DICE Los Angeles, and you were forthright about your intentions to court top talent away from other studios in the area. Have you been successful in that? Karl-Magnus Troedsson: Yes, very much so. We’re not ready to talk about what that studio is working on, of course, but one thing we can talk about is that they’re a part of the DICE family of studios that Visceral is also included in now – that group of great developers take care of our products. Naturally, Visceral are working on Battlefield Hardline, but we have a lot of people in different locations still working on Battlefield 4, taking care of that game, and that’s definitely an area where DICE LA is helping out. Game development is about building great teams, and great teams consist of well-motivated and passionate individuals. From the talent perspective, we’ve hired some really good and experienced developers there. Freddy Loving, the manager, has built a studio with the right foundations and the right core values. He’s built a passionate team and a passionate studio, which is a skill in itself. Game development is about building great teams, and great teams consist of well-motivated and passionate individuals. As a manager of something like that, that’s where you need to start. It’s not just about ‘Do you want to work on the next Mirror’s Edge, Battlefield, or Star Wars?’ That’s part of it, but part of it is also. ‘How you feel about it? Do you want to be here, and how do you want to grow?’ It’s about the more human elements of people’s careers, and how they feel connected to a studio. From that perspective, DICE LA is doing very, very well. Q: DICE has expanded very quickly. Have there been any growing pains? Karl-Magnus Troedsson: We’ve expanded in waves quite aggressively, I would say. So, over the years at DICE Stockholm, for example, we had a massive push five years ago, then last year we recruited like crazy as well, but then we’ve slowed down. We’ve always recruited a lot, then slowed down, settled people in, got them into the groove of things, because yes, there are growing pains with growing too quickly. That’s one of the reasons why we also wanted to open up a new studio somewhere else. Not just to draw from a new talent pool, but also so that we can move work from one place to the other so that we don’t become too big in one place. Q: Until now, DICE and Battlefield have been inseparable, or intertwined concepts. 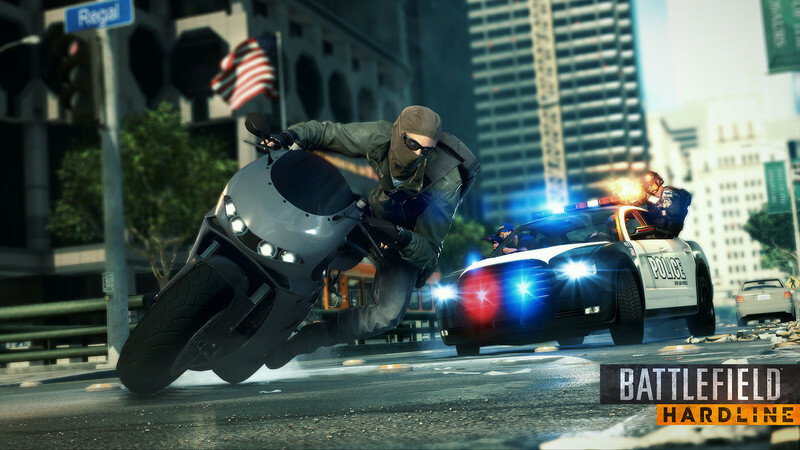 Now Visceral is working on Battlefield Hardline. There must have been some trepidation handing over such a large part of DICE’s identity to another studio? Karl-Magnus Troedsson: It’s not something we shy away from. Visceral really proved itself when it was helping out on Battlefield 3. It was building an expansion pack, and the teams were working together. people who have been working on Battlefield for a long time were thinking, ‘There is a new team that’s going to build this, that’s scary.’ It’s like somebody taking care of your kids for a while. There has been a lot of knowledge transfer going on between the teams, but naturally there is an element [of apprehension] from people who have been working on Battlefield for a long time, thinking, ‘There is a new team that’s going to build this, that’s scary.’ It’s like somebody taking care of your kids for a while. But there’s only one way of going about that, and going back to the human element we talked about before: it’s about getting people to talk to each other. You don’t want to throw something over the fence and then see it go [off] somewhere. That’s not what we’re doing here, and that’s why I like to call it a family of developers, because we are so close. There’s also the element that these games are so big, that there is a multitude of studios helping out. There could be some people from BioWare doing a little on our games. Then we have Frostbite, which today most of the teams at EA are using and contributing back on. In many ways it’s a community of people that develop the Frostbite engine today. It’s Visceral that owns the vision for Battlefield Hardline: they built it, they own it, they have the bulk of the people working on it, but there are other people helping out as well. This creates a way [for us to see what’s happening] and removes some of the fear that we were talking about, because people are still involved. We’re not talking about the singleplayer yet, but that’s also where people are going to see the Visceral brand, or the Visceral touch. Q: Battlefield 4 had a difficult launch. What processes have you put in place to ensure that doesn’t happen again? Karl-Magnus Troedsson: Yeah, we acknowledge that absolutely. There’s a lot of work still going into Battlefield 4. We just made an update to the netcode. The game is now in a good state, I dare to say, but we’re still not happy with it yet, we’re going to keep improving it. What’s cool is that netcode – that patch that just went live in Battlefield 4 – when Battlefield Hardline goes live, all those fixes will be in the game out of the gate. That for me that is super cool to see: fixes coming from everywhere. If nothing else, all the fixes that are going into Battlefield 4 are going go into Hardline off that bat. But there are other things too, more significant changes to how we do things. One of the most prominent ones is what we’ve done by launching the beta [so far out from release]. We’ve done that because we want feedback from players, we want to let people who have any doubt as to whether Visceral can make a Battlefield game try it out for themselves and tell us what they think. But in the background there’s a change to our modus operandi, more or less. We want to get this code into the hands of players earlier so that we can look at the code on the backend and look at what’s going on, how things are holding up, and so on. That’s one example of how we want to change things going forward. There will be other examples of how we want to change things going forward that you will see when we launch this game, but yeah, there have been a lot of changes to our processes coming out of Battlefield 4. Q: Mirror’s Edge: Why now? Or to put it another way, how do you choose what projects to work on, when? 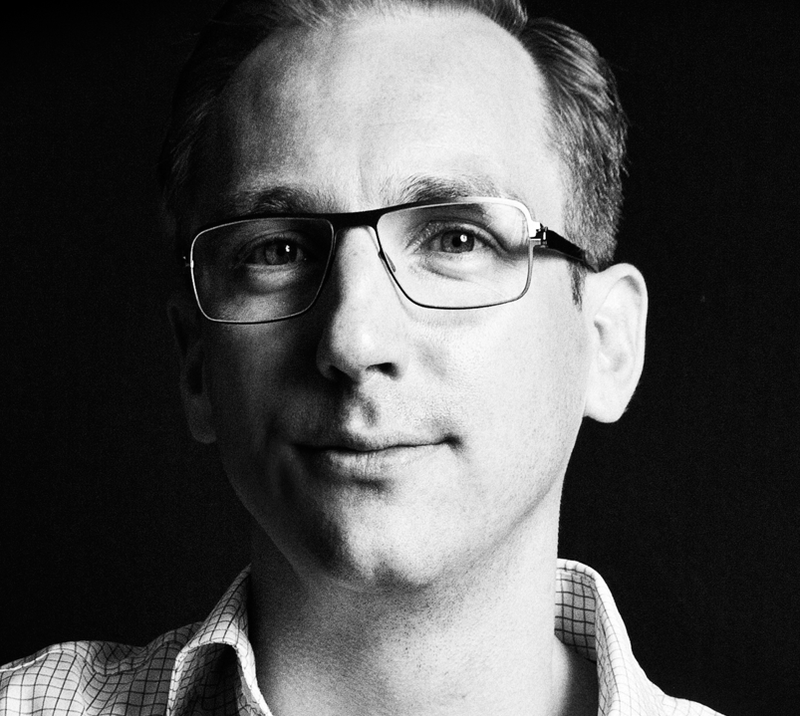 Karl-Magnus Troedsson: When it comes to that, it’s very individual per team and per studio. For example, I just explained how Battlefield Hardline came to be: an idea comes up, we have a team, the stars align, and out comes something like this. Then of course we have Star Wars: Battlefront. When the deal was signed we weren’t supposed to work on it, but we said, ‘We have to work on this!’ That’s one of the reasons we started DICE LA, by the way, to move work from Stockholm to LA so that DICE Stockholm could take on that part. Mirror’s Edge is a little different because it has been a work of passion over a long period of time. We’ve been spending a lot of cycles thinking about what we should do with the franchise, what should happen with it, what’s the best way to bring it to market again – should we even do that? Should we just put it to rest and say that was a one-off? It’s also a product where we’ve changed how we look at it. It’s a game, as we said in the last E3 trailer, it’s coming when it’s ready. Naturally we have a date in mind that I can’t talk about, but it’s more of a mentality. Let’s give ourselves the time to make this right. That’s really good for the team. Q: And of course, Star Wars: What has it been like to work on such an iconic intellectual property? Karl-Magnus Troedsson: It’s been an amazing journey, and an emotional one, but it’s not that different from building a Battlefield game. It’s about getting a group of talented individuals together and building a team with great leadership. So the new thing is that we’re working on someone else’s intellectual property, that’s a big new thing, but that’s been working out beyond all expectations. I can’t go into how everything works, but basically the way I like to describe it is that we have two groups, one game team and LucasFilm who are both really passionate about doing this. They have just met and clicked. I think that will show in the game.